Shop for Team Dynamics Wheels - Buy Team Dynamics Alloys from Wheel Base the UK's leading Alloy Wheels website. In their relentless pursuit of excellence, Team Dynamics are committed to the continuous development of new technologies, to maintain their position as a market leader. Evidence of this is the company's attainment of the ultimate motor industry quality award. 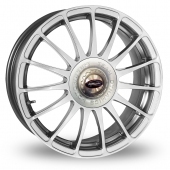 Looking for a set of new Team Dynamics Monza R Hi Power Silver alloy wheels and tyres? 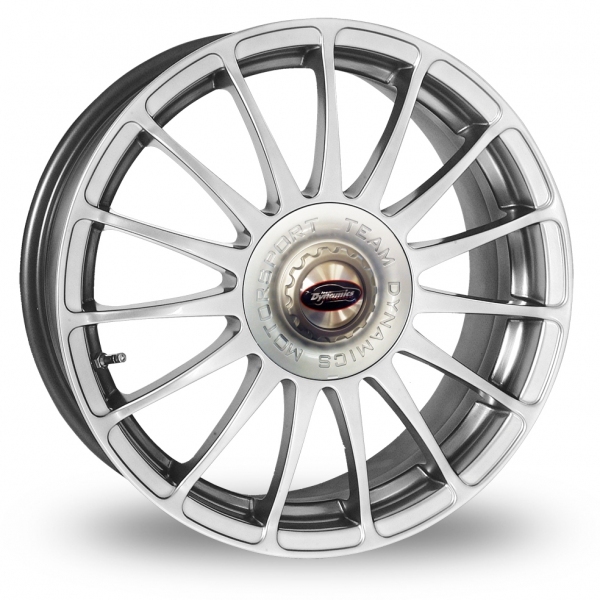 Our Team Dynamics Monza R Wheel and Tyre packages are designed to save you money and time. What could be simpler than buying a complete set of Team Dynamics Monza R wheels and - no need to get your tyres fitted at a local garage. We have a wide selection of tyre brands, ranging from our economy tyres if you are on a budget to our premium tyres including Pirelli, Continental, Dunlop, Michelin and Bridgestone. Simply select your car make and model then choose the best wheel for your budget.